I am typing this article on my iPad. iPad took the world by storm in 2010 and having tested the Galaxy and having seen a preview of the PlayBook, I predict that more and more professional content will be consumed and also authored on mobile devices such as tablets and smartphones. In fact, I expect that in 2011, we will start seeing the first ECM application deployments that will cater either solely or primarily to mobile device users. In addition, the smartphone prices are likely to drop significantly in the next 12 months. People will use a multitude of devices using different form factors and operating systems. All of that will bring a new dynamic into IT planning which was until now focused on homogeneous environments. Most companies are shelling out thousands and even millions of dollars each year to keep their Office applications up to date while there are perfectly free and fully functional alternatives such as OpenOffice by Oracle, Lotus Symphony by IBM and Google Docs. The features are on parity with MS Office for at least most users and the file formats are compatible. While Oracle, IBM and Google do have their ulterior motives, the price difference is hard to argue against. How does that relate to ECM? Well, if there is a proliferation of non-Microsoft applications (and devices), companies will start reconsidering the blank ELAs they pay to Microsoft and they will need to consider the non-MS clients in their selection of ECM solutions. eDiscovery has enjoyed a lot of buzz in the last couple of years – pretty much since the impact of the Federal Rules of Civil Procedures from 2006 on information technology became apparent. For some time, eDiscovery became the new SOX (Sarbannes-Oxley Act of 2002) – fueling a wave of hype and rushed purchases that were often addressing the symptoms (discovery) instead of the root cause (lack of proper information governance). For 2011, I am predicting the eDiscovery buzz cools off as organizations realize that search will not replace sound content management practices. Most companies have by now been faced with some degree of FRCP impact and - just like with SOX a few years ago – they have figured out how to deal with it. It might not be pretty, but it takes the pressure off. Wikileaks have set a powerful example in 2010, making many organizations rethink the security of their own data. At the same time, the proposed Dodd-Frank Wall Street Reform and Consumer Protection Act of 2010, calls for whistleblower incentive programs that will likely encourage such leaks. This might impose a double-whammy on organizations that don't want their data to appear on Wikileaks and yet have to protect their own employees if they blow the whistle by leaking the data out to authorities. As a result, a lot more thought (and investment) shall be given to information governance and security. The dominant user interface over the last decade was the browser and most ECM systems have a browser-based UI as their primary experience. This approach is loved by IT as it allows for easy control of the client environment, however, it enjoys lukewarm user adoption which has been plaguing the ECM industry for years. Users prefer client-side applications as we have witnessed by the rapid adoption of mobile apps or even software well integrated with desktop apps such as SharePoint. I expect that in 2011, we will start seeing more mini-applications built for specific tasks (and on mobile platforms, although not exclusively...). Social media were all the buzz in 2010. 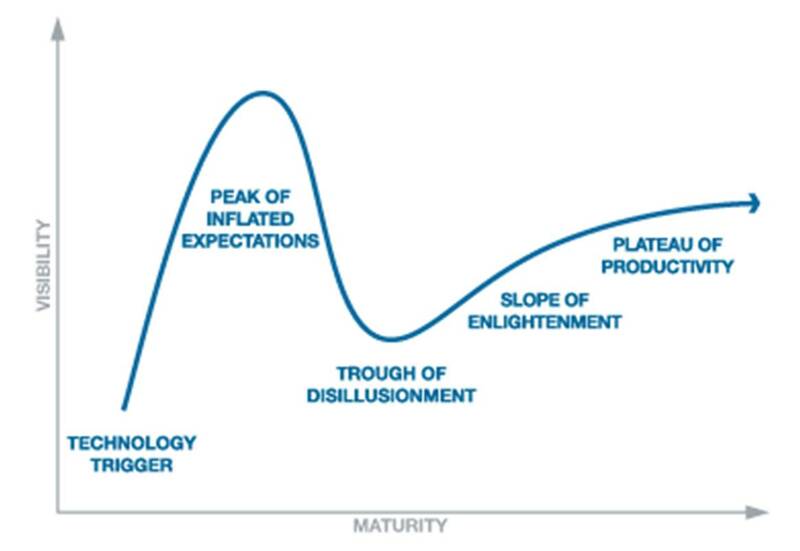 True to the Gartner hype cycle model, social media reached the 'Peak of Inflated Expectations' and many organizations felt the pressure to simply do something in order not to be left behind. 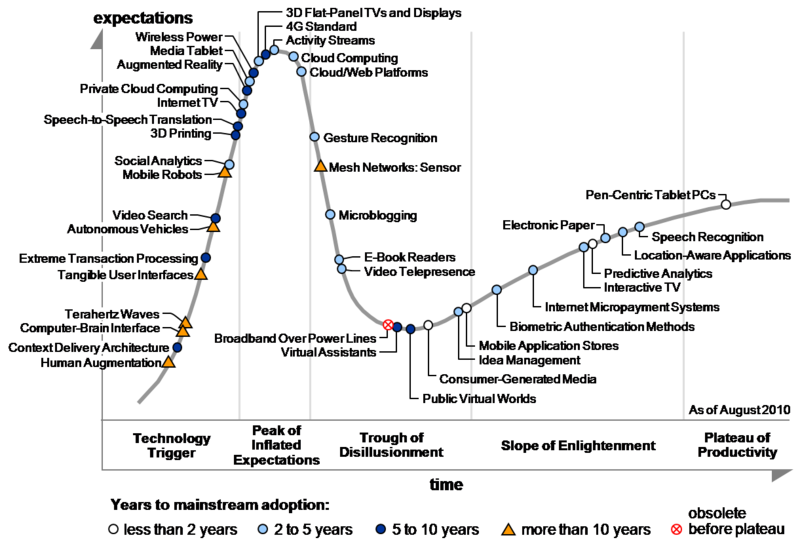 And just like the hype cycle predicts, there will be some sobering out from the buzz. No, I am not predicting the demise of social media but I do believe that starting with 2011, it will be deployed more often to achieve specific business objectives: “Investments continue only if the surviving providers improve their products to the satisfaction of early adopters” - that's how Gartner defines the 'Trough of Disillusionment'. And as a result, there might be organizations, functions, or use cases where social media simply won't be the right approach. The emergence of case management in 2010 was a significant development. It helped to finally differentiate between the content-based process automation and the traditional BPM which is focused on heavy automation and complex processing around structured data. Case management as the combination of content which is made for human processing and automation which improves efficiency appears to be just the right mix which will continue to gain acceptance in 2011. This trend will de-prioritize the technologies such as BPA (business process automation) or process simulation that make for nice demos but add little value in the context of case management. Web content management has been an area plagued by ups and downs over the last decade which is surprising since most organizations spend millions on their web presence every year. Someone has been making money here but it wasn't the leaders of the WCM magic quadrant. For 2011, I'm predicting growth in the WCM sector although it will be hard to measure since most vendors are now subsumed by larger organizations. There are multiple factors that will contribute to that growth: many web sites have been budget-starved for years and an update is overdue; marketing is finally seen as a strategic contributor to growth by many organizations and they have increased their marketing investments; the new demands for online customer engagement via rich content and social media require new technology investments; etc. All those factors will trigger significant spending by marketing and customer service functions. I must admit that making predictions is fun. Obviously, I will be wrong with some and I am sure that some of my readers might disagree with some of my predictions. The hardest part is the timing - not everything will happen in 2011. Well, we'll see how I did a year from now. Lubor, I agree with most all your predictions - it's a pretty good list. I especially agree with #3 on eDiscovery and how there is a big shift from reactive discovery to proactive information governance. Also, while I agree that organisations should work on the left end-side of the EDRM to reduce costs and risks, while deriving productivity gains, I think most organisations are still trying to figure out what is the best approach, particularly those that have not faced any ediscovery issues, i.e. the vast majority. 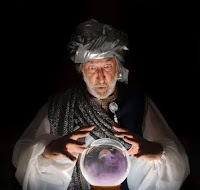 I would also add a prediction to your list (it piggy-backs on Case Management): knowledge management will be 2011 buzz word and drive IM and CM initiatives. Good stab at it. I am curious about your views about possible changes to content type or mix. i.e. "Over the next three years Gartner believes that video will become a commonplace content type and interaction model for most users, and by 2013, more than 25 percent of the content that workers see in a day will be dominated by pictures, video or audio." How do you see this impacting ECM industry? Pretty Interesting Predictions. Referring to 6th point, the Social Media Shift would be to the Enterprise Social, and engagement business.Investments might grow in this area, referring to the Enterprise tools that only provide ways to hook the Strategic Models of the customers.. Very interesting Mr. Ptacek... I am especially fond of your MS Office prediction. As a former WordPerfect product marketer it was a dream of mine to one day read that the monopoly would be broken! But what about SharePoint's effect on Office? SharePoint, as you well know, has seen massive adoption, and to get all the goodness out of SharePoint possible you need to be running Office. I see your prediction as sound in the consumer market, but in the corporate market the hooks may be in too deep. I look forward to what the year brings in proving you right, and then you can type up the 'I told you so' message using Google Docs just to rub it in! Thanks for the many comments, all! @Mike Marsh - I have have had originally 12 predictions but I shortened it eventually down to 10. Rich media was one of the two I cut. So yes, I agree that rich media - and particularly video - will be very important in 2011. @Dave Martin - Ah, yes, my friends at the competition (and real friends) are watching ;-) Yes, I agree that the MS Office prediction is on the bolder side, but that's my nature... But this trend is already a reality in the consumer space (if you are still buying MS Office for your home PC, it's time to reconsider). And I see the consumer trends sneaking into the work environments fairly quickly. But I do admit that 2011 might be a tad too soon. Just comment on a couple of your items - as Mark Twain said, "Reports of my death have been greatly exaggerated." Also as to Web sites - agree. What is being missed is the intuitiveness. If you can't find it in two seconds then it's not working. Site development will need to go the next level which is touch due to the IPad and other products that are coming to the fore. Web design needs to be on a level for the luddite.